GaryMoller.com - Health, Fitness - Naturally! : Hiking the Heaphy Track of New Zealand in style! Hiking the Heaphy Track of New Zealand in style! 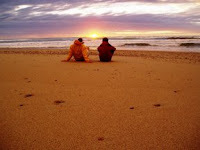 In tourism there are many experiences on offer to take you away from the hustle and bustle of your everyday life. If Bungee Jumping, Rafting or Zorbing isn’t exactly your idea of a stress free holiday then don’t worry as there is a much less adrenaline charged alternative, a gourmet guided walk. Now, I don't normally give room for advertorial; but this is an exception. 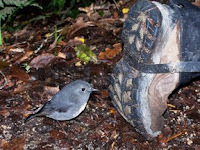 The Heaphy Track is one of the best bush walks in New Zealand that can be tackled by anybody with an average level of fitness. I have done it myself many years ago and it continues to rate as one of the best hikes I have ever done. One of my daughters, Mary-Ann In the photo above right), has just completed a season as a guide on the Heaphy. She loved it and I offered to give the company she works with a plug on my website. After all, my readers tend to be older outdoorsy types who also appreciate some of the basic comforts in life - like a light back pack! Read on. 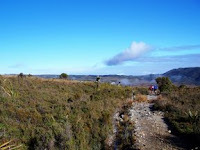 Southern Wilderness offers Gourmet Guided Walks. I’m often asked what this means? Imagine organising your holiday, in fact you and your friends wanted to go for a walk on the Heaphy Track or in the Nelson Lakes area. Great, you’ve got your destination, now where to start….? First up, you’ll need to organise transport to the start and end of your walk, then there is the accommodation, all the equipment and of course the food. Is anyone carrying a first aid kit or emergency communications, and knows how to use it? Will you know call of the great spotted Kiwi to her mate in the evenings, or was that just a Weka you heard? Maybe you want to learn a little more about the early people first through the area? Basically Southern Wilderness takes all those issues and the hundreds of other small details, and delivers you a fantastic experience that you will not forget. 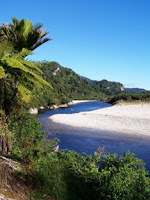 You only have to take time to peruse our menu for the Heaphy Five Day walk to see a little of what makes us a great option for organising your holiday. The menu is a mix of local foods with a few international blends, from Thai Chicken Curry one night to Lamb Backstraps the next; fancy a Sauvignon with your Salmon Fillet? Then we can organise that too. The wines we choose are all great local labels, with a range of types to tickle your fancy. Pinot Noir, Chardonnay, and Pinot Gris are all matched to your evening meal; that is if you decide a glass of vino might be just the ticket after a day of walking! The guides are all chosen because of their personalities and experience in the field. But primarily because they share the Southern Wilderness ethos of, “quality of experience first and foremost” From being attentive to any first aid issues, sharing the stories of secrets the Heaphy hol ds, whipping up Gourmet delights with seemingly little effort, or generally just being all round good buggers, it takes a special sort of someone to become a member of the Southern Wilderness team. The trip starts in Nelson with a briefing the night before the departure. It’s a great time to meet everyone and answer any last minute questions you may have. 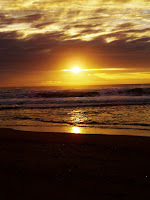 The next day is a drive over to the stunning Golden Bay, where the walk begins. Each day the guides explain the terrain you will be covering, including great rest stops and points of interest, after that you’re encouraged to walk at your own pace, as fast or as slow as you enjoy. The guides carry all the foo d and safety equipment and are on hand to answer any questions you may have, or to just have a relaxed chat. Each mealtime the guides will prepare everything; leaving you to really enjoy your time on the track. The end of your experience with Southern Wilderness is finished off in style. A drive up the picturesque Buller River takes you to your final night’s accommodation, St Arnaud; located in the Nelson Lakes area, and often described as one of New Zealand’s hidden gems its soaring peaks and azure lakes form a wonderful backdrop to the Alpine Lodge. This is the final night of the trip, a great time to reflect on the walk you have just completed. Once again Southern Wilderness has taken care of the details, and everything is included in your package. We arrive back to civilization with plenty of time to explore Nelson further. Or connect to a flight back home. has really perfected the art of ‘Tramping Gourmet Style’.